Russia has around 50 national parks which were set up to preserve the country’s most spectacular nature, as well as its cultural heritage and traditional ways of life. Some of these parks in Siberia and the Far East are enormous - approaching two million hectares, meaning they are bigger than some European states. However national parks in the more densely populated European part of Russia tend to be much smaller. One such park is the Kenozersky National Park – a magical place in the Russian North which people come back to again and again. The park is situation among the northern forests and lakes of the Arkhangelsk Region and named after Lake Kenozero, the main lake here. 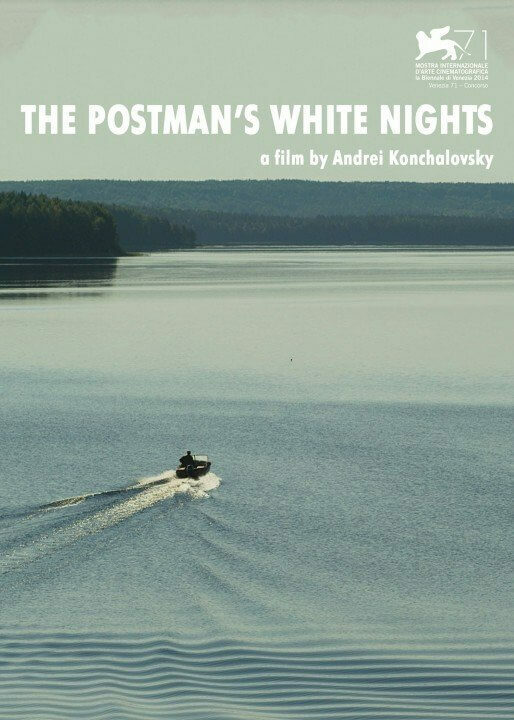 Ever since watching Andrey Konchalovsky's 2014 film ‘The Postman’s White Nights’ , which was filmed in Kenozero, we have wanted to visit this remote part of Russia. We say remote but in actual fact the 14 hour train trip, followed by an almost four hour car ride (partly over a bumpy dirt road), is nothing compared with the efforts needed to reach other national parks in Russia. Upon arriving in the village of Vershinino, the centre of the northern Plesetsk Sector of the park, we were immediately greeted with the park's symbol: the wooden St Nicholas' Chapel which stands on the highest point of the village. If you are aware of the work of Russian artist Ivan Bilibin, who was famous for painting scenes from Russian fairy tales, you will see that he was obviously inspired by his visit here in the early 20th century as part of an ethnographical expedition. Lake Kenozero is large with many picturesque bays and islands, and people have lived on these island and around these bays for centuries in small settlements and villages. However today many of the villages are now sadly abandoned, while others only have a couple of people living there year round. Some of the villages are only accessible by water, which of course has probably played a role in protecting them. The best way therefore to see the sights and the nature of the region is to book an excursions by boat. The main feature of these villages is usually the chapel, which were often built by the villagers themselves. In fact along with the park's nature, it is these well-protected, unique examples of traditional wooden architecture of the Russian North which draws people here. Chapels in the Russian North have a specific feature that is only found in this part of Russia. The internal part of the dome is decorated with a central circular panel depicting the Father, Son and Holy Ghost which is surrounded by rectangular panels depicting the apostles. These paintings are known in Russian as “nebesa” – heavens. Also clearly visible at these chapels is the local blend of Russian Orthodoxy with older Pagan beliefs. The chapels were originally established next to streams or trees where Pagan temples were found, only later on did it become common to build them on the village’s highest point. Another local custom with Pagan roots is the leaving of possessions, usually a headscarf, to consummate a promise made to God, and you will see collections of these gifts in the chapels. The national park’s authorities have taken measures to help protect and popularise the traditional crafts of the area. It employs a full time blacksmith who not only gives master classes to visitors, but also participates in the restoration work in the park, for example he recently had to make over 3,000 iron nails for the restoration of a chapel. In addition to the master class with the blacksmith's, you can also try your hand at weaving birch bark and at the felting process used in making Russian valenki boots. While on the excursion and interacting with locals, you can’t help but notice how people here are much more laidback and friendly and really enjoy welcoming guests (the area has not yet felt the negative effects of mass tourism) and telling them about their village and traditions. During the excursions our guides freely spoke of their experiences growing up here and even sang us local songs. It is clear that the history and traditions of the region survives through its people and hopefully this will continue to be passed down from generation to generation. There are no high-end hotels in the park, but who needs luxury when you can stay at a quaint wooden house with a banya on the shore of the lake. There also aren‘t any restaurants in Vershinino, just a cafe which serves breakfast, lunch and dinner according to a timetable. The food is very simple, but it is precisely this simple food which is another highlight of visiting the region as everything is prepared using 100% organic, locally produced products. On our first evening we had borsch and zharkoe stew followed by delicious pies with various local berries. In fact on all of the tours we went on we were at one point treated to these delicious pies, differing only in the selection of berries: sometime bilberries, sometimes wild strawberries, sometime raspberries. After dinner we were treated to a performance by local babushkas in the traditional local costume singing folk songs and Russian ‘chastushka’ songs (ditties consisting four-lined verses). The only real downside to visiting this part of Russia is the bugs. Despite drenching ourselves in repellent we were all mercilessly bitten by mosquitos, gadflies and horseflies in the moments between swimming in lakes and reapplying the spray. Luckily though none of our group had any contact with ticks which are also active in the region this time of year. Although we only visited the northern sector of the park, it certainly made enough of an impression to make us want to come back here and to further explore the region. Our trip was quite literally a breath of fresh air. When swimming in the cold waters of Lake Kenozero after a hot banya in the twilight of midnight at midsummer in the Russian North, we took a moment to appreciate that despite all the chaos, division and barbarism we read about currently going on in the world there are still places remote enough to appear completely unaffected. Places where nature, traditional ways of life and a slower pace of living are being preserved against all odds. Places where even in today’s crazy world tranquillity still reigns. Many visitors to Moscow visit the flea market which makes up part of the Vernisazh Market at Partizanskaya metro station, but the Levsha Flea Market is much less often visited by tourists, mainly as it is located 30km from the centre of Moscow just outside the city of Khimki.